An Indica/Sativa 50/50 hybrid, with Afghan heritage and long history of outdoor cultivation in the Netherlands. Close to 12% of THC makes this weed a real killer, though still with a clear, Sativa upbeat high. A joyful beauty that made growers happy for more than 30 years. 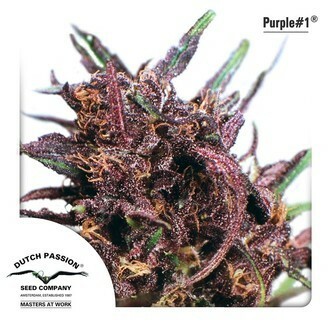 The Afghani purple Indicas were bred by the Dutch Passion masters with local Sativas, to achieve a fast finishing purple strain that would be hardy enough to cope with the European harsh climate and short summer. 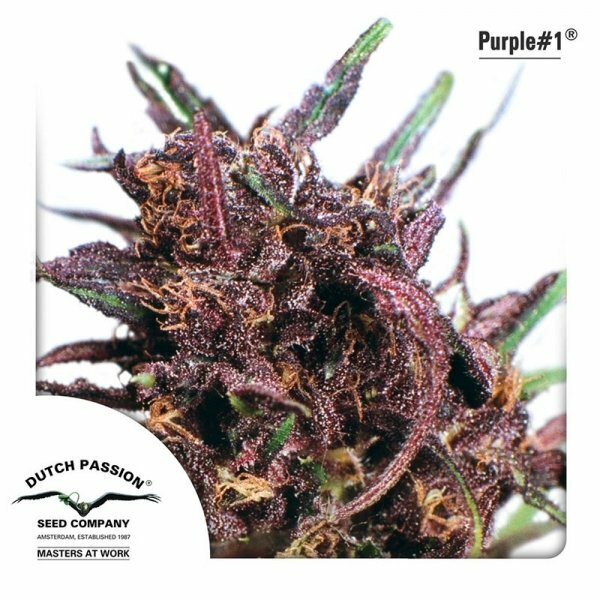 The resulting feminized Dutch Passion Purple #1 became THE Purple strain, with a high THC content (11-12%) and yet an active, upbeat Sativa style high. The smoke has a very mild and smooth taste and aroma, typical for outdoor varieties, with a touch of fruity aftertaste. For two decades, the feminized Purple #1 was Dutch Passion's staple brand for outdoor growers in Europe. It is a sturdy plant with high mold resistance, ready for harvest 8 weeks after it starts flowering. Grows high, reaching as much as 2,5 m, with almost all of the flowers turning purple by the time it is ready for harvest. Pas de soucis de germination pour ma part.